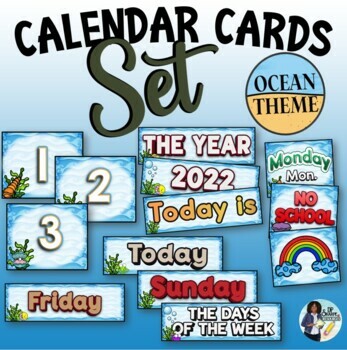 This ocean theme calendar set is a great visual tool for students to manipulate on a calendar or for use during your whole group time. The set includes months of the year, days of the week, calendar numbers 1-31, “NO SCHOOL” cards, and TODAY, TOMORROW, YESTERDAY cards. 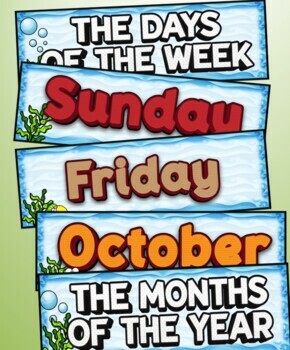 Also included are cards for holidays, special days and the weather. Blank cards are included.